Buying a used car is cheaper than a new one. However, if you do not adequately inspect it you will find yourself paying higher for maintenance costs. The cars also depreciate faster making it have a low resale value. While the car exterior may look spotless after a fresh coat of paint it is under the hood that you find hidden problems. 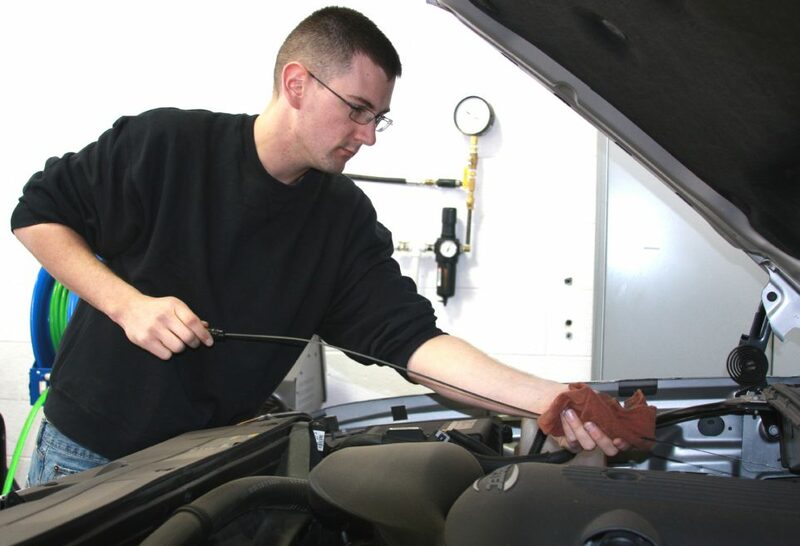 If you have little knowledge about car operation you may need to carry on your mechanic during a car inspection. Most car resellers will give the car a fresh coat of paint and some wax when selling it. You will need a closer look to identify rust and dents. If the car was involved in an accident it could be a signal for further engine trouble. Your mechanic will need to check the engine system for signs of leakages. This includes checking the engine oil, radiator coolant and brake fluid. If you notice green leakage this could be the coolant, while a yellowish red fluid is an indication of engine oil leakage. Run the engine for a few minutes and let it idle while you check the floor underneath the car for leakages. Check the trunk for spare tire, jack, and ratchets. Do not purchase a car without test driving it yourself. Listen to engine sound. If you hear a rattling sound then this is signal for more engine trouble. Try accelerating the car and braking. Brakes should be responsive and silent. If the car has problems breaking the braking pads could be worn out or the braking fluid finished. The engine should have a smooth transmission. Later, check that all the car electronics are working properly. You can check the VIN chart and see whether it responds to what is written on the contract. Take a particular interest in the engine number. You can also take the time to research on previous owners. Is the car legally available for sale? Is it stolen? Avoid having some else apart from the seller delivering the car. A new set of tires is expensive. You need to check the tires for wear and tear. The trends should be visible. You will be required to ride the car for a distance and observe the tires for unevenness. The tires need to be well aligned as this prevents the car from wobbling when driving. Check the exhaust for any signs of cracks. If you notice soot deposits it could mean problems with the internal combustion engine. It is not usual for the car to emit some white smoke when driving it in the morning. This is as a result of water condensation. However, excessive white smoke means there are coolant leakages. Black smoke is a result of oil coming into the combustion chambers. It is also a sign of unburned fuel. Before you settle on a particular car, check the market for similar models. What you are looking for are the maintenance costs, pricing, and possible defects. When you are approaching a car dealer you have a point of reference when bargaining. You may want to know from the dealer why they are selling the car, mileage covered and if the car has been involved in a car accident. Once you have the VIN you can check the car history of various sites. If the engine is in good condition and the car moves silently you can then check some car luxuries. This includes turning on the air con, radio and sunroof if the car has one. If the car has an onboard computer you can use a diagnostic machine to check for errors. Most of the diagnostic machines are inexpensive but they come in handy when detecting engine trouble. Next verify that the headlights, signals and braking lights are working. Do not just pay whatever the dealer suggests. You are not compelled to pay a fixed price. Negotiate with the dealer on the purchase price. While negotiating do not offer a ridiculously low price as this only adds to irritate the dealer. Make sure you can afford the monthly loan repayments. You should factor in your monthly expenses and have something extra for emergencies when making a purchase. If you find something is missing or off in the car use this to lower your purchase price. It is wise to have the seller sign a contract when selling the car. This is to certify that you are the legal owner of the car. Some scrupulous dealers can sell you a stolen car and insist on paying for it in cash. Have someone you trust accompany you during the purchase. A close friend acts as a witness and will help you detect hidden car defects. Come with an inspection list if you are coming alone. Tick each item as you inspect it. You can find the best car deals from dealerships, private resellers or online websites. Dealers offer lots of customization options and some offer your car loans. However, these tend to be more expensive than traditional car loans. You can find online car sellers located near you from established car websites. Do not pay for a car online without physically inspecting it. Finally, if you have a gut feeling that the deal is fishy walk away from it. If you notice that the paint has been used to hide dents or the car has an unusual odor walk away from the deal. There many cars available in the market and you can always find another car. Inspecting a car before purchasing is vital if you do not want to drive a dead beat car. Have your mechanic accompany you during the purchase. Check the engine for leaks and always test drive the car. A well-maintained car is silent when driving. Accelerate the car and apply emergency brakes; check the response. Above all trust your gut instinct.